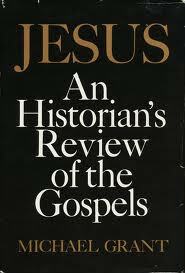 This continues the previous post on Jesus: An Historian’s Review of the Gospels by Michael Grant. Why two posts on this? Since some New Testament scholars point to Michael Grant as evidence that academics outside biblical studies employ the same methods and reach the same conclusions about the historicity of Jesus as they do, won’t hurt to address his work in some detail. Nor were Jesus’ ethical precepts for the most part original or novel, since ninety per cent of them were based upon injunctions that had already been offered by other Jewish teachers. This is all Grant’s own imaginative fantasies being projected into the literary Jesus, of course. Gospel sayings of Jesus are quite trite so Grant attempts to rescue them by saying Jesus said or felt them “more vigorously”, “more powerfully” or “more sharply” than anyone else. By now I think some readers will begin to understand why Grant’s biographies of ancient persons are generally for popular, more than scholarly or graduate student, consumption. One New Testament scholar points out exactly what Michael Grant is doing and it is not history. It is outdated New Testament hermeneutics. [A]mong the host of Commandments Jesus singled out two as supreme, Love of God and of our neighbour. This pairing of the two ordinances in absolute priority over all other injunctions occurs elsewhere in Jewish thought after the [Hebrew Bible] and may not, therefore, be Jesus’ original invention. But the stress he laid on it was unprecedentedly vivid. What could be more Christ-like than the Golden Rule? The forcefulness of this aphorism, particularly in the Sermon on the Mount, for many captures the essence of Jesus. Michael Grant seems to be engaged, not so much in the historian’s craft, but rather in stating the obvious. But times change. A dozen years later the Jesus Seminar would overwhelmingly deem the Golden Rule an inauthentic saying. In light of the extensive literary parallels from Hinduism, Buddhism, Confucianism, Zoroastrianism and Judaism there is no way of knowing whether Jesus ever uttered this aphorism. The early Christian community had access to a variety of sources for this sentiment and may have ascribed it to Jesus at any time prior to the Gospels. What initially looked self-evident now becomes a victim of what Van A. Harvey calls the morality of historical knowledge. Grant’s presentation has become a self-fulfilling prophecy. The vivid presentation of Jesus in the Gospel narrative, which Grant recognizes to be a secondary composition, nevertheless has formed the basis of his reconstruction. So it appears that at least one New Testament scholar recognizes exactly what Michael Grant is doing and it is not doing history in the same way classicists or other historians do history with their documents. He is doing outdated New Testament hermeneutics. Michael Grant claims to be writing “as an historian”, but he looks to the theologians to see how they should approach the Gospels as a special case. Indeed, Grant liberally splashes his pages with citations pointing to New Testament scholars such as G. Bornkamm, C.H. Dodd, R.H. Fuller, J. Jeremias, D.E. Nineham, Geza Vermes and Stephen Neill. But let’s backtrack a moment to catch up with one of those moments where Grant appears to turn his back on any notion that the arcane arts of theologians are required to extract reliable information from the Gospels. I wonder how many of Grant’s peers cringed when they heard that he was comparing the Gospels with the Histories of Livy and Polybius. Of course no-one disputes events if Livy and Polybius describe them differently. Firstly, look at the different ways Livy and Polybius describe Hannibal’s crossing of the Alps. The facts are not in dispute. 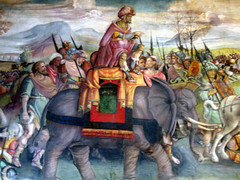 One does not say Hannibal crossed the Alps after he invaded Italy and another before; one does not say he crossed with his army while another says the army crossed without him. These would be the sorts of differences we would expect if Livy’s and Polybius’s accounts are comparable to what we find in the Gospels. Rather, most of the differences are perceptions of the character of Hannibal: the patriotic Livy hates him while Polybius, a Greek historian, is more neutral. Yes, the Gospels also contain different attitudes towards the disciples, towards Jews and Romans. But they also contain much more significant contradictions that really do undermine their credibility as accounts ultimately derived from singular noteworthy events. So unlike Livy and Polybius, it is clear that the authors of the Gospels do not consider their compositions to be historical records of events that really happened or that they are writing “history”. So the authors of the Gospels clearly do not not consider their compositions to be historical records of events that really happened or that they are writing “history”, but they evidently understand that they are writing “parables” (Crossan’s term) that can be changed to convey different theological messages. But that doesn’t mean that Jesus didn’t really call disciples at some time, does it? That is the rhetorical question that usually is thrown up in defence of the view that the Gospels are ultimately derived from genuine or distorted historical tradition of some kind. It is a meaningless point. Just because the stories told about John Henry and Paul Bunyan could have happened doesn’t mean they therefore did happen. Criteria other than “could have happened” are required. Michael Grant is embarrassing his profession for this gaffe. We will see why as we proceed. We know who Polybius and Livy were, when they were born, where they lived, whom they knew and met, their political and social status, where they traveled, and why they wrote their respective histories of Rome. That is, we understand their interests and reasons for writing, and their interest and ability in writing a generally factual history. Their works find independent support in other sources. Contrast the Gospels: We have no idea who wrote them, when, for whom or why. Scholars speculate with informed guesses but can do no more. The Gospels of Mark and John do not even read like genuine history or biography. Their story flow and messages convey more mysteries than answers. They read like cryptic theological parables intended for select audiences “in the know”. It has recently been suggested, on the strength of seriously applied literary genre theory, that Mark is, indeed, a form of Jewish novel. For all of these reasons (each one could be elaborated into a full post) it is nonsense to suggest that the Gospels should be read by historians in the same way they read Polybius and Livy. What Grant is overlooking when he writes this is his many years of familiarity that comes from working with ancient sources. He has forgotten or has ceased to be consciously aware of what makes much found in the works of Polybius and Livy persuasive: our knowledge of the authors of those works and their reasons and intents in writing, the genre of their writings and the functions they served; the extra-textual confirmations of the general reliability of their works. It is all of that knowledge — too easily lapsing through familiarity into a subconscious recess of one’s mind — that justifies judgements of “probability” and “persuasiveness” in the case of classical sources. Didn’t Albert Schweitzer say that reconstructions of the historical Jesus up to his own day had all been, in effect, reconstructions in the respective images of their Dr Frankensteins? Will Grant’s Jesus be more like Grant than the “real Jesus”? Grant acknowledges Schweitzer’s point as he found expressed by Gunther Bornkamm saying that of all the tens of thousands of books written about Jesus “all” had failed insofar as they “all superimposed” or unconsciously projected their own modern viewpoints into the past. So how does one explain this track record of failure if the methods of historical Jesus are so much more advanced and complex than anything found in more banal historical studies? Grant might have said that some of the tools used by scholars were developed after Schweitzer, but in fact the primary tool Grant himself relies upon, the criterion of embarrassment, was widely used among scholars well-known to Schweitzer. Simultaneously Grant acknowledges that the biblical scholars in his own generation who are studying the historical Jesus have learned to be more hopeful than Schweitzer was in surveying the scholarship up to his own time. The task has often been declared impossible on the grounds that our information is too little and too late, and can do no more than create the picture of a picture, and can yield only a whisper of Jesus’ voice. But nowadays more and more scholars appreciate that this conclusion is unduly pessimistic. 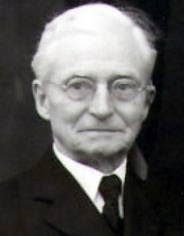 T. W. Manson, for example, has declared: ‘I am increasingly convinced that in the Gospels we have the materials — reliable materials — for an outline account of the ministry as a whole.’ J. Knox, too, believed us to be ‘left with a very substantial residuum of historically trustworthy facts about Jesus, his teaching and his life.’ And now Geza Vermes expresses ‘guarded optimism concerning a possible discovery of the genuine features of Jesus’. Is this because they had learned to apply the methods used by other types of historians? Not at all. Grant does not explain why this renewed optimism. But New Testament scholars know the reason. . . . In 1954, after Albert Schweitzer had effectively dashed hopes of recovering the historical Jesus, Ernst Käsemann revitalized hopes of uncovering “the real Jesus” with his publication of “The Problem of the Historical Jesus”. This ignited what is known as the “New Quest” for the historical Jesus. Käsemann introduced the sorts of tools that were to make historical Jesus studies such a complex task quite unlike the comparative simplicity of the historical studies that Grant was used to. These tools were the application of form criticism to peel away layers of history behind the Gospel texts, and the criterion of double dissimilarity. Double dissimilarity means that we can only be certain about those words of Jesus that are unlike anything found in Judaism or early Christianity. When one is sufficient for God. Grant is heavily (I would even say exclusively) indebted to New Testament scholars for his views about Jesus. He opens his life of Jesus with theologian C.H. Dodd’s popular view that Jesus taught a “realized eschatology” — a message that the Kingdom of God was already here on earth in the life and work of Jesus — as that view was modified by another theologian, G.E. Ladd. Ladd argued that Jesus taught both a “here and now” and a futuristic eschatology. Jesus, then, fully and urgently participated in the current Jewish belief that the end of the world as we know it — the coming of the Kingdom of God — was imminent. But what was much more original, indeed the most original of all his beliefs, was the combination of this idea with the further conviction that the Kingdom had already begun to arrive . . .
Grant is entirely indebted to the scholarship of theologians — and their arguments based on dissimilarity and other criteria — for his portrait of Jesus. Let’s look at some other instances where Grant draws upon other criteria found in the treasure-chest of theologians to flesh out his Jesus. One of Grant’s favorites is the criterion of embarrassment. The arguments will be very familiar to anyone who has any acquaintance with what New Testament scholars say about the historical Jesus. I am prepared to wager that one will find little comparable argument in his biographies of Julius Caesar or Nero. I sat through many classes studying Julio-Claudian emperors from the Roman sources in translation and I don’t recall once anyone suggesting that a detail must be true because the historian was conflicted between what was expected from him and what he really did not want to write, because of sheer embarrassment, if he could have avoided doing so. All of Grant’s justifications for any claim about Jesus come straight from the texts of theologians and other New Testament scholars. It would not be wrong to say that Michael Grant is presenting a layman’s synopsis of what a few theologians have written about Jesus. Anything he does in addition to that is far from scholarly. Although Grant sometimes reminds readers he is writing as “an historian”, he at no point informs readers what his methods of historical inquiry actually are. All of his justifications for any claim about Jesus come straight from the texts of religion and religious scholars. Jesus’ own family were among those who rejected him. . . . If anyone comes to me and does not hate his father and mother, wife and children, brothers and sisters . . . (he) cannot be a disciple of mine. The fallacy of this criterion of embarrassment has been pointed out many times recently. Embarrassment is a factor to consider when assessing a writer’s interpretation of events, but it is only in biblical studies, as far as I am aware, that it is used to justify the wholesale certainty that an entire event itself did indeed happen. 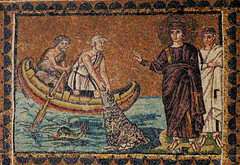 Thus the entire course of history, it appeared to the Jews, was specifically directed by God in such a way that subsequent events would correspond to those earlier ones — which had, indeed, according to this view, been expressly designed to anticipate what was to happen later. . . .
Now this Jewish attitude was fully, consistently and perseveringly maintained by the early Christians, whose New Testament deliberately presented the career of Jesus as a mass of detailed fulfilments of what the Torah, the prophets and Psalms had foretold. . . .
As historians, however, we have to consider typology an essential factor because it often guided the course of events. To the followers of Jesus the entire Old Testament seemed replete with prophecies . . . about Jesus . . . . And it was a view that he himself shared. . . .
[D]oes this mean that he had deliberately arranged to act so that his action should fulfil the text in question? Or must one instead conclude that the happening has been subsequently invented . . . .
[I]n his earthly career, too, Jesus was said to have emphasized the same connection incessantly. ‘Let the scriptures be fulfilled,’ was his alleged declaration when he was arrested, according to Mark. . . .
And so forth. According to Grant and many theologians, Jesus consciously chose to act out in his life what he expected others would recognized as Old Testament prophecies of his life. Miracles? He must have done something! 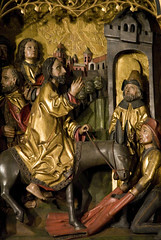 So how does the historian explain the accounts of Jesus performing miracles? Grant says that “Jesus must have done something” so it is quite within our rights to find rational explanations for the miracles. Except, that is, for the nature miracles such as walking on water. Nothing like those miracles ever really happened. I wonder if Michael Grant ever suggested any other ancient person “must have done something” in order to rationalize a popular tale of a miracle. Hercules? Samson? I could go on but this is surely enough to make the point. Michael Grant is writing like another New Testament theologian and not like an historian of any of the Caesars. To cap this all off, let’s return to Grant’s opening chapter where he calls upon C. S. Lewis’s precursor who uttered one of the earliest forms of Jesus having been either “lunatic, liar or lord”. Of course not. Michael Grant is writing as an historian. We know he does not believe he was a fraud. Grant cannot say Jesus was divine. But he does say ‘in assuming human shape’ this historical person [Alexander, Romulus, Caesar, Paul, . . . . ] ‘took on human limitations’. Surely it is clear. Michael Grant at no point writes of Jesus as if he were even genuinely human, let alone historical. And he relies entirely upon the esotoric, the arcane, methods of theologians to craft his portrait of this man he concedes was unlike any other in the history of the world. Posted on 2013-02-28 21:28:01 GMT+0000 by Neil Godfrey. This entry was posted in Uncategorized and tagged Biblical Scholarship, Grant: Jesus Historian’s View, Henaut: Oral Tradition and Gospels, Historical Jesus, Michael Grant. Bookmark the permalink. Here is my work on this topic so far, with number four in this new series produced during the past couple of days, and then finished in the way it is now earlier today. I have been working on this problem mentally for the past seven years after being an intense theist since age 20 (I’m now 56) and brought up since age 4 believing the Bible. Number four is my way of solving the integrity or lunatic problem of a historical Jesus. Thanks so much for all of the info presented in the post above! #4 Constructing The Real Jesus Series: Did Jesus Believe in Miracles? I find this to be an engaging article. I don’t know much at all about the author, other than he had some coursework in Polybius and Livy, so obviously he knows a good bit about classical history. Having had my own smatterings of training in both history and theology, I am impressed with the author’s thinking, because I have done my own thinking, and what he finds as the issues pretty well line up with what I find them to be. No, the Gospel writers weren’t historians; they were Christian propagandists, in the better sense of that word. They were promoting a new Way of life, and they cast their ‘pamphlets’ in the best possible light. Two of them (Matthew and Luke) evidently built their pamphlet on a third (Mark), and the Fourth (John) may or may not have built his on any one or all three of those. What I find to be lacking in such thinking as this author’s is the psychological aspect. 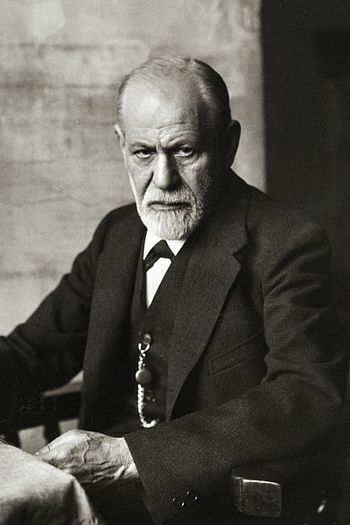 He knows about Freud and the subconscious, so he is aware of the potential volatility available once psychology and the subconscious is brought into the discussion. I think that Jesus was centuries ahead of his contemporaries when it came to probing the subconscious with ambivalent, ambiguous statements, such that it was impossible for his “reporters” to keep up with any consistent way of reporting what He had said. By the time these reports were used by the Gospel writers, the confusion was worse confounded. Neither the orthodox Jews nor the early Christians could make head or tails of just where Jesus was “coming from.” The nearest any theologian has come to understanding Him, to my mind, is C. H. Dodd. Therefore, I wonder if The Jesus Seminar has really rendered Dodd “arcane.” Dodd makes more sense to me than Schweitzer, and I have studied the work of both men regarding the eschatology of Jesus’ teaching.